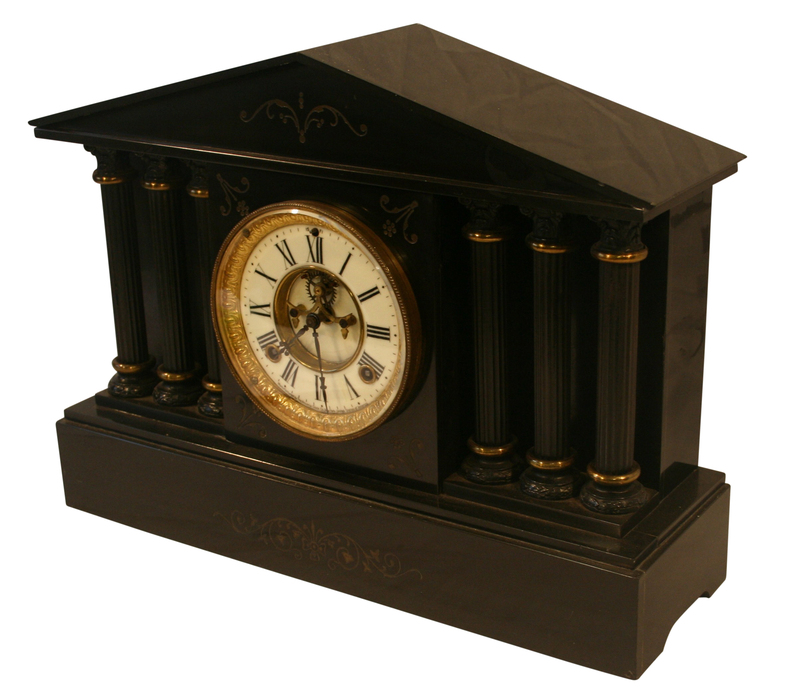 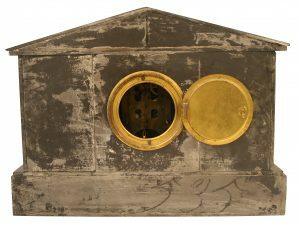 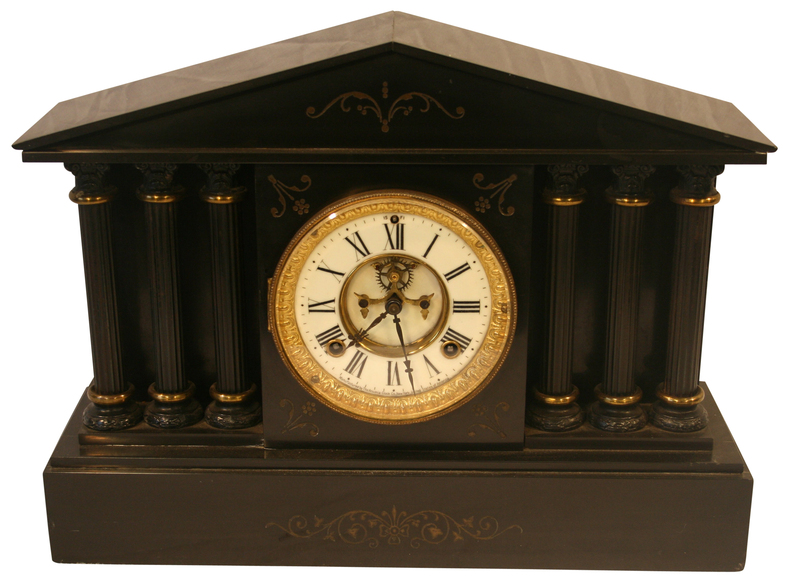 A Victorian slate mantle clock in a classical style. 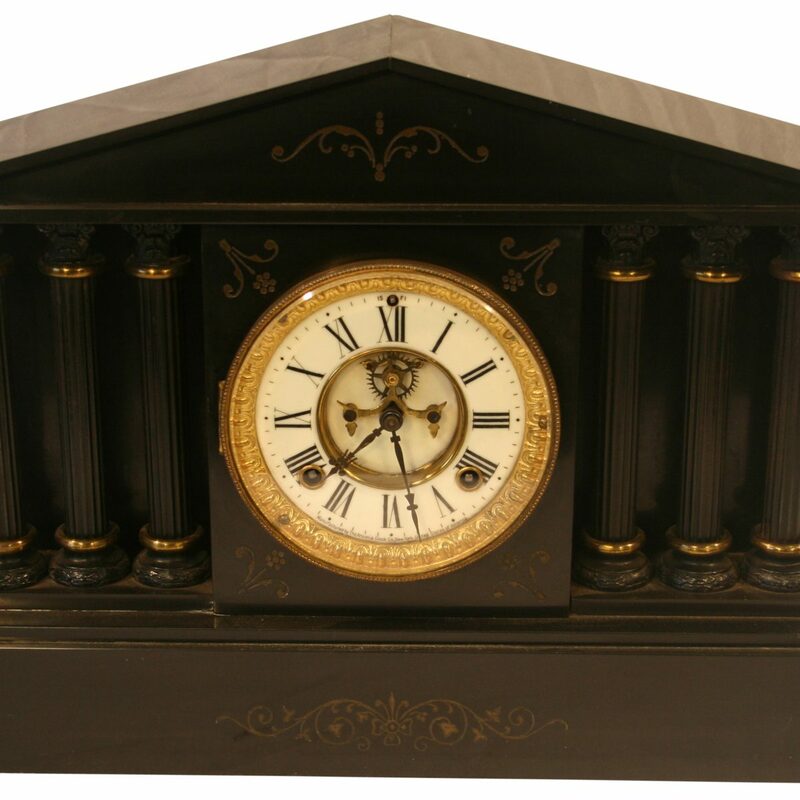 It has a American eight day movement which strikes on the hour and half hours. 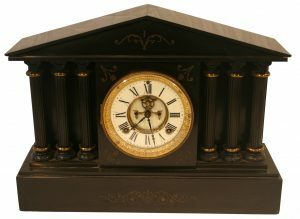 The dial is flanked by three sets of columns.